He didn’t mince words, but he was never unkind. For him, integrity counted more than financial security. FUNERALS are for the living. I don’t think you can really get the import of until it is for somebody close to you. 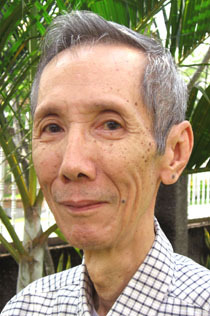 Last Saturday, Shahriza Hussein, who used to write for The Star but was always known to me as “Uncle Shah”, passed away in Selangor, surrounded by close family and friends. The suddenness of his passing took everybody by surprise. He was a man who didn’t mince his words and I thought he would have had something to say before he went. Probably to admonish us for being so silly, for looking so sad. I regret that my last contact with him was when he insisted, vehemently with his eyes, that his wallet and cigarettes stayed in the drawer next to his hospital bed. I wish I had had the foresight to spend the night with him. Death has an uncanny way of rearranging your perspective. Suddenly the issue of which word to use to describe God seems so trivial. At the end of the day each individual life is only a blip, yet the paradox is that one life can influence so many others, for better or worse. Although Uncle Shah could seem short with strangers, he always loved those close to him. I had never seen him hurt anybody out of evil intent – something that seems to be in short supply these days. All my life, I have known him as a writer. He had set up and run Auto International magazine for three decades and written regular columns for The Star, reviewing hi-fi systems and reminiscing about his younger days. His writing was easy to digest, with a generous peppering of droll wit. My Auntie recounted the time when he had commented about the size of a particular car model in a review, saying that it would pose a problem in Terengganu and Kelantan because those states took the issue of khalwat (close proximity) seriously. 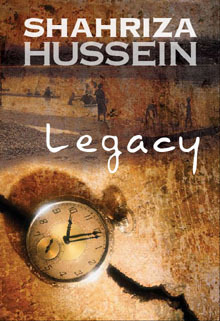 He took a break from writing columns to work on his first novel, Legacy. It’s a semi-factual account of what happened to a member of the Perak royal family after the murder of the British Resident of Perak, James W.W. Birch. I hope Uncle will forgive the weak pun in the last sentence, but I know he’ll appreciate my effort to publicise his labour of love. Legacy is based on what he had learned about our family, passed on through the generations. My grandfather (Uncle Shah’s father) had once told me that if it wasn’t for his grandfather being cheated of some inheritance, we would still be part of a royal lineage. The novel goes some way in explaining what could have happened. I helped bathe Uncle Shah’s body (mandi jenazah) and as I was doing so, I couldn’t help but notice how calm he looked. As I rubbed the soap between his fingers and toes, I tried to be as gentle as possible. This struck me as strange because it obviously mattered more to me than it did to him, but I wouldn’t have wanted to do it any other way. He had shown me nothing but kindness throughout my whole life, and it was the least I could do in return. This is one of the very few tangible examples I have of somebody supporting my ambition to be a successful creative writer. In the last few years, I have made pitches to producers, but to no avail. Historical novels are expensive to film; besides, they don’t attract audiences. Uncle Shah would have said that the lack of 3-D blue aliens probably worked against them too. I think he appreciated the kind of decisions I had to make in trying to earn a living. He had worked with the Education Ministry for years before suddenly quitting. Why he did so is not very clear to me, but I know it was because he was not happy with what he saw around him. To him, the integrity of his work was more important than keeping his pension. What did I learn from Uncle Shah? To be proud of being a writer because when it is done well, it touches the lives of others. To be fearless when stepping into unfamiliar territory because you never know what you will find. To be stubborn and stand up for what you believe in because, at the end of the day, that’s what really matters. At the graveyard, I helped to bury my uncle, piling the earth onto him, with fingers, hands and cangkul. As I was doing so, I became angry. Angry that he hadn’t given enough warning that this was going to happen to him, that maybe I could have done something more. But then I also imagined that he would have said, “Don’t be silly”, and followed it with something scathingly witty. I tried hard to think of a line that could do him justice, but my imagination failed to measure up to the man that he was.